American Cancer Society Louisiana welcomes Dr. Tarun Jolly to its Board of Directors. 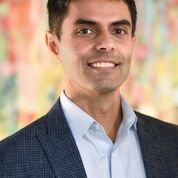 Tarun Jolly, M.D. received his Doctorate of Medicine from Louisiana State University Health Services Center. With advanced fellowship training at M.D. Anderson Cancer Center in Houston, Dr. Jolly created the first comprehensive Pain Management Center for Ochsner Clinic Foundation in 2006. An avid entrepreneur, Dr. Jolly’s passion remains in the medical industry, where he has been a leader in developing diagnostic ancillary services for hospitals and independent laboratories. Dr. Jolly is an active community member and serves on the Board of Directors for Newman School, Dean’s Advisory Board for Tulane School of Public Health, and the Advisory Board for New Orleans BioInnovation Center. With over 500 resources available in Louisiana, American Cancer Society has programs and services to help manage cancer treatment and recovery, while providing emotional support across the state. From breakthrough research, to free lodging near treatment, a 24/7/365 live helpline, free rides to treatment, and convening powerful activists to create awareness and impact, the Society is attacking cancer from every angle. For more information about American Cancer Society Louisiana, please visit http://www.Cancer.org. The American Cancer Society is a global grassroots force of 1.5 million volunteers dedicated to saving lives, celebrating lives, and leading the fight for a world without cancer. From breakthrough research, to free lodging near treatment, a 24/7/365 live helpline, free rides to treatment, and convening powerful activists to create awareness and impact, the Society is the attacking cancer from every angle.